This unique site was a collaboration with my friend Robyn Hepker of Benson & Hepker Design. It’s a unique design that presented some unusual challenges when developing it in WordPress. 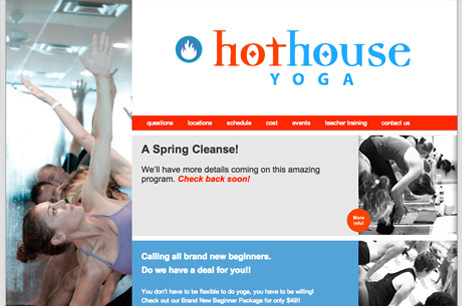 But the end result is a beautiful site with splashes of color that is easy to maintain by Hothouse Yoga staff members. They have control of about 80 percent of the content directly, and I of course can help with the rest. I really enjoyed working with both the client and my buddy Robyn on this one! A fun project indeed!